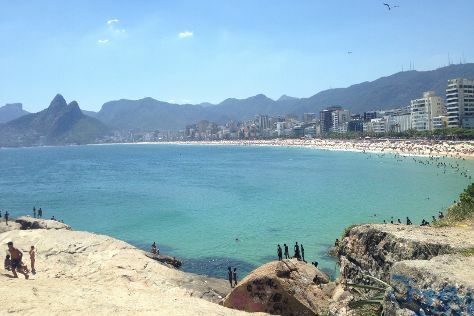 We've included these beaches for you: Praia de Grumari and Barra da Tijuca Beach. Get some cultural insight at Parque Lage and Praia de Ipanema. Next up on the itinerary: enjoy the sand and surf at Pedra do Arpoador, delve into the lush surroundings at Parque Nacional Tijuca, stop by Shopping Leblon, and pause for some photo ops at Corcovado Christ the Redeemer. To find other places to visit, where to stay, and more tourist information, go to the Rio de Janeiro trip planner . Expect a daytime high around 36°C in December, and nighttime lows around 27°C. Finish up your sightseeing early on the 20th (Fri) so you can travel back home.